Home News & Analysis Europe and CIS How Will Turkey’s Referendum Impact Stocks And the Turkish Lira? Can A Stronger Erdogan Reverse Turkey’s Mounting Economic Problems? Is the strong performance of equities over? Turkish equities have had a great YTD 2017 until April 20. The MSCI Turkey Index is up 14.1% for the year which places it as the second best emerging market country index in Europe behind Poland. 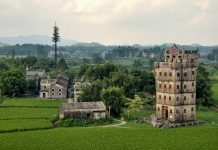 It has far outperformed the Emerging Markets Europe Index, which has returned just 0.9% in the period. The rise in the Index becomes even more prominent in light of the fact that it was down by 11.1% until January 11. 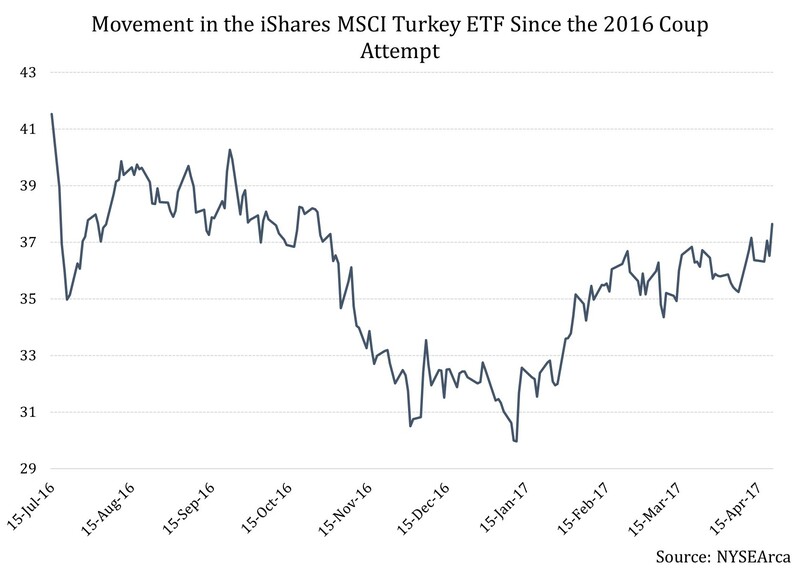 Let’s look at the movement in the iShares MSCI Turkey ETF (TUR) since the referendum result on April 16. From its previous closing on April 13 until April 20, the ETF has risen a noticeable 3.5%. The rise came most sharply after the challenges to the vote by opposition parties were quashed. This reinforced a sense of stability, bringing some optimism to Turkish stocks. A major reason which may keep investors interested in Turkish stocks is cheap valuations. As of April 20, the TUR ETF had a price-to-earnings ratio of 9.45, making it even cheaper than the already attractive Brazil (EWZ) with a ratio of 13.82, and much cheaper than Mexico (EWW) with a ratio of 21.15. 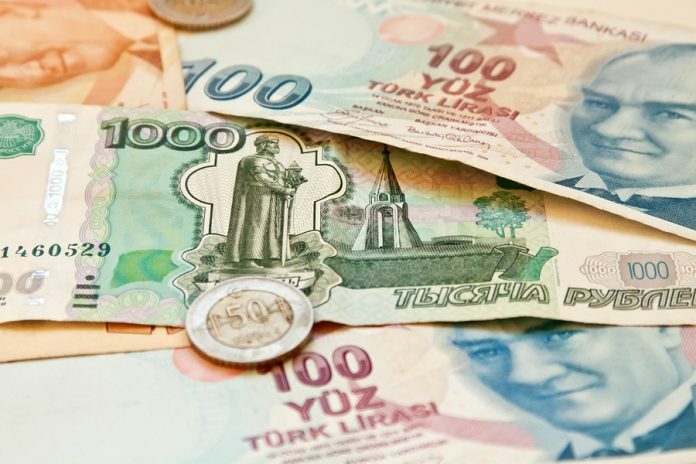 What’s in store for the Turkish lira? The Turkish lira has been the worst performing emerging market currency in YTD 2017, but it saw a small boost after the ‘Yes’ vote prevailed in the referendum on April 16. 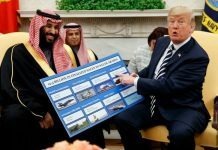 However, the lira soon pared most of its gains, indicating that the concentration of powers in the presidency is not a development investors are necessarily comfortable with. Though the domestic political situation may now be stable, Turkey’s foreign relations, especially those with the European Union may be strained further. There could be a brief rally in store for both stocks and the Turkish lira, but the government will need to do much more to infuse confidence in investors for this rally to continue. At this juncture, Turkey faces more challenges than opportunities for investors. Actions by the government in the near term will make or mar Turkey’s fortunes as an attractive investment destination.